If you’ve got a guy you are nuts about, show him you mean it with a Nuts About You keychain. This clever little do-it-yourself gift costs pennies to make even though it is sold for upward of $20 elsewhere. Your man will be reminded about how much you love him every time he reaches for his keys. A few nuts and bolts can create a fantastic little gift for your guy. Place all your materials into a small dish or bowl. This will keep everything from rolling around while you are creating this Nuts About You keychain. Place your threaded bolt on your work surface. Be sure that you are using a threaded bolt that has a loop on one end so that you can attach it to a key ring. 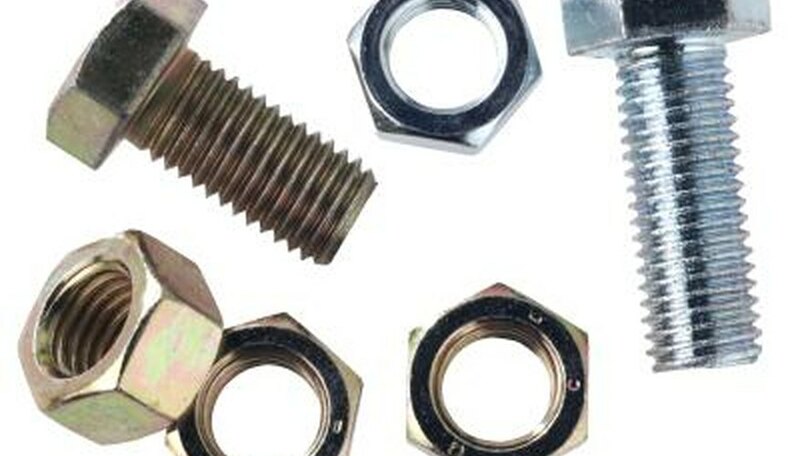 Use fasteners to screw on your nuts. First, screw on your threaded square nut. Next, your brass hexagon nut followed by a wing nut. Finish with the cap. Attach your finished product onto a plain circle key ring. Jones, Kristle. "How to Make a Nuts About You Keychain." Dating Tips - Match.com, https://datingtips.match.com/make-nuts-keychain-12068321.html. Accessed 19 April 2019.